Obituary for Dorothy "Doot" (Howsare) Kuhn | Timothy A. Berkebile Funeral Home Inc.
Dorothy “Doot” Kuhn, 75, of Dublin, VA, died on Tuesday, April 9, 2019 at Lewis-Gale Hospital in Montgomery, VA. She was born on May 4, 1943, in Bedford, a daughter of the late Fred and Edna (Cessna) Howsare, who survives of Rainsburg. 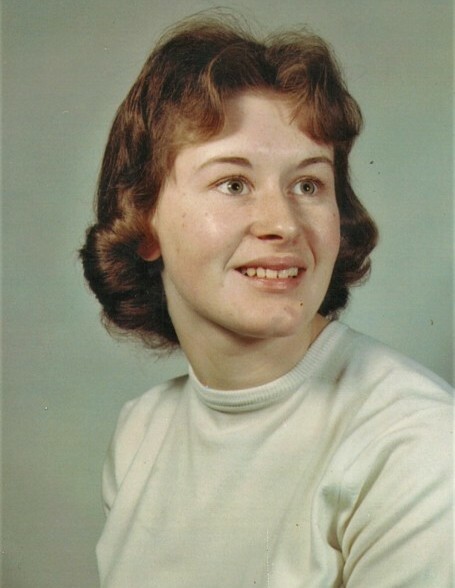 She is survived by the following family: four sons, Ivan Kuhn of Dublin, VA, Paul Kuhn and wife Linda of Clarksville, NH, David Kuhn of Daytona Beach, FL, and Fred Kuhn of Dublin, VA; two daughters, Kathryn Loucks and husband Tom, of Bangor, and Valerie Cotner and husband Jeff, of Sulivan, IL; seven grandchildren: Heather Jane, Samantha, Jimmy, Marshall, Kaitlyn, Molly, and Samuel; three brothers: David Howsare widower Rachael of Staunton, VA; Daniel Howsare and wife Joan, of Bedford, Phil Howsare, of Rainsburg two sisters: Barbara Frederick and husband Keith, of Spring Waters, NY, and April Howsare, of Rainsburg. She was preceded in death by her former husband, Raymond Kuhn. Dorothy worked as a receptionist at the age of 19 at the Pentagon. She also worked for the secretary to Chairman of the Defense Science Board. She enjoyed gardening, listening to Elvis, and traveling widely, working with some eminent families in Somerset County, NJ. Funeral Services will be held on Saturday, April 13, 2019, at 2:00 p.m., in the Chapel, at the Timothy A. Berkebile Funeral Home, in Bedford, with Fred Howsare officiating. Burial at Woods Church Cemetery. Friends will be received on Saturday, from 1- 2 p.m. at the funeral home. Our online guest book is available at www.berkebilefuneralhome.com.